In my work as a youth pastor, I consistently use a variety of commentaries to prep discussions for my midweek high school program as well as to prepare for my preaching responsibilities on Sunday. Since we follow the narrative lectionary, I knew that this year we’d be preaching on the Sermon on the Mount. 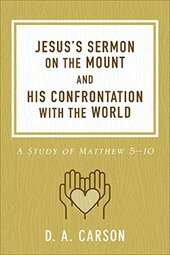 For that reason, I was excited to review D. A. Carson’s Study of Matthew 5-10: Jesus’s Sermon on the Mount and His Confrontation with the World. To be clear, Jesus’s Sermon on the Mount and His Confrontation with the World is a book that I treated as a commentary. I’ve read it piecemeal, a section at a time rather than straight through, beginning to end. When read like this, I’ve found Jesus’s Sermon on the Mount and His Confrontation with the World to be very helpful in giving me new insights to a familiar passage. This, in turn, has enriched my preaching on this material. Not surprisingly from D.A. Carson, Jesus’s Sermon on the Mount and His Confrontation with the World is academic. 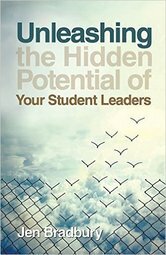 It’s a book that I would wholeheartedly recommend for use as a commentary; Not one I’d recommend reading for a small group Bible study. Thanks to Baker Books for graciously sending me a copy of Jesus’s Sermon on the Mount and His Confrontation with the World to review. All opinions are my own.